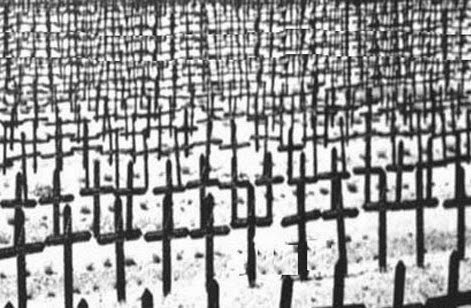 The Great War started one hundred years ago, on July 28, 1914. It was later known as the first world war, but the term "Great War" better conveys the enormity of something that had never happened before in human history. Here I propose an interpretation of the war based on the emergent properties of complex systems: the triumph of propaganda. One hundred years after the start of the Great War, we are still struggling to understand what caused Europeans to decide that it was a good idea to kill each other by the millions while staying in humid and lice infested trenches. Political and economic factors are often mentioned, but are hardly sufficient. Wars have been around from the beginning of human history, but had never reached the size and the level of ferocity of the Great War. What made the Great War so destructive was the power of what was later called "propaganda" (and which today we tend to call "consensus building"). In turn, propaganda was a classic case of an emergent phenomenon of complex systems. It was an unexpected result of the diffusion of literacy in industrialized countries. 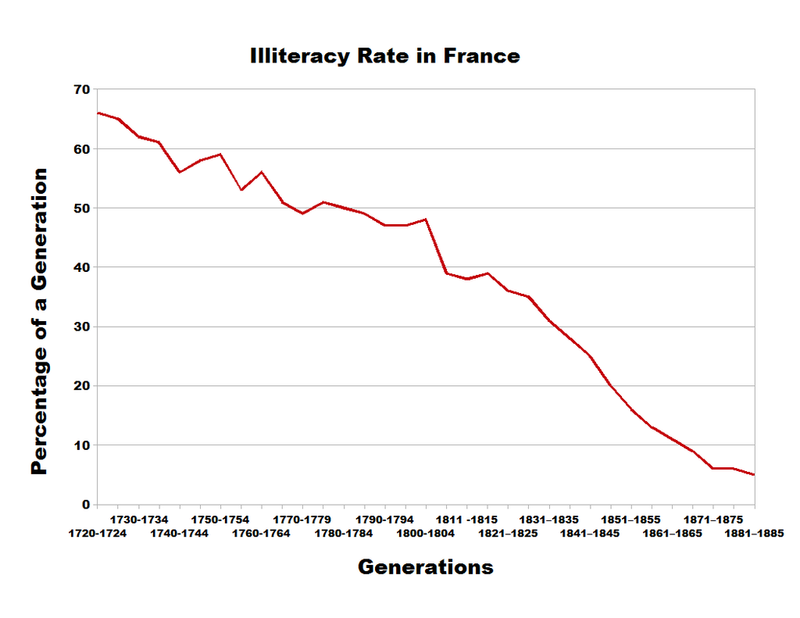 As an example, by the end of the 19th century, France had achieved a nearly 100% degree of literacy in its population (image below from Wikipedia). Several European countries, including Germany, Britain, and others, had reached similar rates. People were taught to read and write because literacy was a useful ability in a rapidly industrializing society. But, for literacy, just as for many other things, there holds the law of unexpected consequences. Once most people were able to read and write, the rules of the game of communication changed completely. 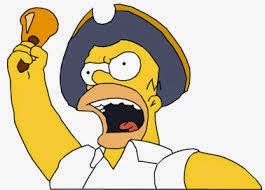 Before the age of literacy, governments had to rely on town criers screaming "hear ye, hear ye!" in order to tell their subjects that a war had been declared and that they had to enlist in the army. With literacy, people would read newspapers and were told not only that they had to enlist, but how good and beautiful it was to enlist to fight against the evil monsters that the enemies were. In a classic case of reinforcing feedback, propaganda fed on itself. 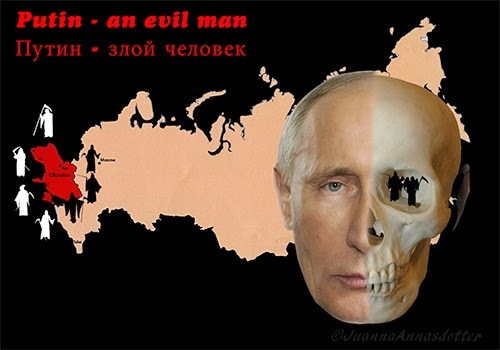 As people became more and more convinced to be on the side of good against evil, the war became harsher and more out of control, generating more hate and more propaganda. In part, this disastrous spiral was a spontaneous phenomenon, but soon governments learned how to exploit it. It took some time to develop the right techniques, but we can pinpoint the beginning of modern war propaganda methods with the sinking of the British ship "Lusitania" by a German submarine in 1915. Allied propaganda exploited the sinking in ways which we can easily recognize as a standard part of "false flag" operations: the extensive use of the media to demonize the enemy. These technologies are still commonly used today and are perhaps more effective than ever. Today, images and movies are used to complement and replace the written world of a century ago, but the basic mechanism of propaganda remains the same: governments can reach their subjects with a tremendous barrage of false or distorted information. People are not normally equipped to defend themselves from this onrush of disinformation and tend to react either believing in it or taking refuge in bizarre conspiracy theories - often manufactured as part of more false flag propaganda operations. The emergent phenomenon of propaganda during the Great War took most people by surprise and, after the war was over, there were several attempts to understand it and - if possible - control it. Edward Bernays was a pioneer in this field with his 1928 book "Propaganda". He was an optimist and thought that propaganda could be used for good purposes. Unfortunately, it is nearly impossible to control a self-reinforcing phenomenon and today we are as sensitive as a hundred years ago to the waves of hate which periodically engulf the public opinion. The case of the non-existing "Weapons of Mass Destruction" which led to the invasion of Iraq in 2003 is the most recent full size manifestation of this phenomenon. Others may be in the making right now. So, a hundred years later, the story of the Great War is a lesson on how difficult it is for us to manage complex systems. 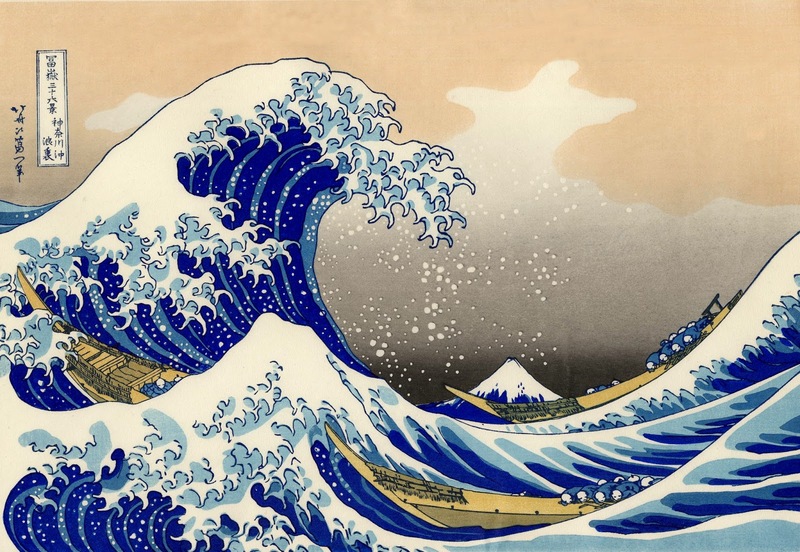 Our society, one of the most complex systems that ever existed in human history, is subjected to destructive transitions created by emergent control phenomena which appear out of nowhere: unpredictable and uncontrollable. Propaganda feeds on itself and creates waves of hate which generate destructive wars. The illusory perception of abundance of oil and gas created by fracking leads to the diversion of immense amounts of resources to a task which is leading us nowhere. Waves of self-reinforcing optimism in the media lead to financial bubbles and then to destructive crashes, as it happened in 2008 and may happen again. 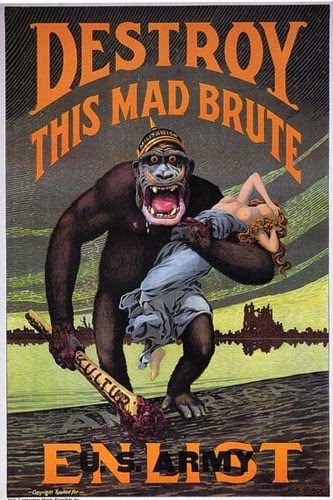 The war propaganda of one century ago looks to us hopelessly naive. But the core ideas developed at the time of the Great War are still with us, although often in subtler and more effective forms. The diffusion of the Internet is adding layers and layers of complexity to the once simple mechanisms of propaganda and the fragmentation of the infosphere makes it even more difficult to control it. Never in history, we have faced such an incredibly complex system which is shaping our perception of the world. The infosphere is quickly becoming a game of mirrors where multiple images of the same thing scream at each other "I am the real one". Where is it all leading us? We don't know, we cannot know. 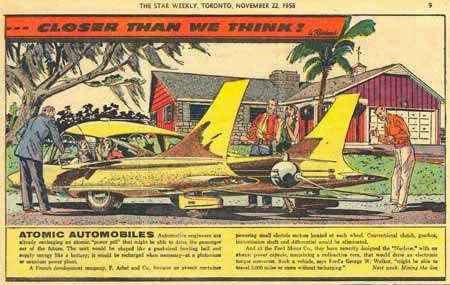 The future, as usual, is a dim reflection of the past. So, the Great War is part of our past, but also of our future. With its more than 10 million deaths and with its incredible mix of love and hate, it is still part of the way we are, part of the way we see the world, part of the way we react to the unknown, to the mysterious essence of the universe. These words by Olaf Stapledon (last and first men) may give us a hint of what we are facing. Great are the stars, and man is of no account to them. But man is a fair spirit, whom a star conceived and a star kills. He is greater than those bright blind companies. For though in them there is incalculable potentiality, in him there is achievement, small, but actual. Too soon, seemingly, he comes to his end. But when he is done he will not be nothing, not as though he had never been; for he is eternally a beauty in the eternal form of things. Man was winged hopefully. He had in him to go further than this short flight, now ending. He proposed even that he should become the Flower of All Things, and that he should learn to be the All–Knowing, the All–Admiring. Instead, he is to be destroyed. He is only a fledgling caught in a bush-fire. He is very small, very simple, very little capable of insight. His knowledge of the great orb of things is but a fledgling’s knowledge. His admiration is a nestling’s admiration for the things kindly to his own small nature. He delights only in food and the food-announcing call. The music of the spheres passes over him, through him, and is not heard. Yet it has used him. And now it uses his destruction. Great, and terrible, and very beautiful is the Whole; and for man the best is that the Whole should use him. But does it really use him? Is the beauty of the Whole really enhanced by our agony? And is the Whole really beautiful? And what is beauty? Throughout all his existence man has been striving to hear the music of the spheres, and has seemed to himself once and again to catch some phrase of it, or even a hint of the whole form of it. Yet he can never be sure that he has truly heard it, nor even that there is any such perfect music at all to be heard. Inevitably so, for if it exists, it is not for him in his littleness. I think this video it is worth looking and listening at even if you don't understand Italian. It is the story of a lake which has naturally emerged in the middle of a (probably) illegal housing development in Rome. The buildings have partly collapsed and some of them were never completed. At some moment, a natural lake sprung out in the middle of the area and the best efforts of the owners of the property were not enough to destroy it. Now, the citizens of the area took to the lake in small boats, claiming for it to be common property against those who want to drain it to make more buildings. The song is by the Italian rap group "Il muro del canto". Note the term "palazzinaro"; it can be translated as "building speculator" but, more colorfully, it could be "illegal housing development tycoon". You can read the whole story (and google-translate it from Italian) at this link. The new San Lorenzo mall in Florence, Italy. An American style food court designed mainly with international tourism in mind. It is an example of the attempt of the Italian economy to adapt to the ongoing collapse of its traditional manufacturing sectors, trying to exploit new sources of revenue. So far, this brand new set of restaurants seems to have been successful. Unfortunately, however, even foreign tourists may be an unsustainable resource. 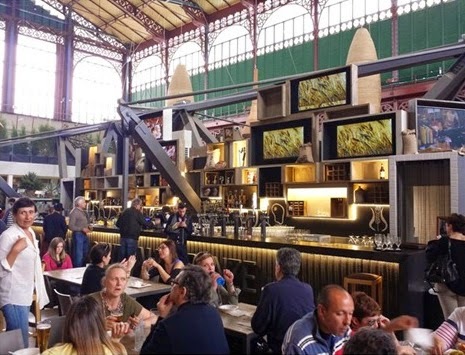 If you happen to visit Florence, these days, you may notice the brand new food mall on the upper floor of the ancient downtown market. 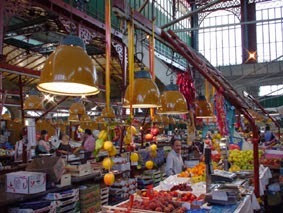 It is a major restructuring of what used to be a vegetable market, patronized mainly by locals. Now, it is a typical American style, "food court" with many different restaurants sharing the same tables. From my personal experience, I can tell you that the food in this place is of medium quality; overpriced, but not terribly so. It is the kind of food that foreign tourists have come to expect in Florence, I'd call it fusion food with a Florentine veneer. Not that I want to discourage you from trying this place. On the contrary, it is at least a way to avoid the many abominable tourist traps you may be unfortunate enough to stumble upon in Florence (you may also like to take a look at some notes of mine on the ancient Florentine cuisine). I just wanted to note how it the new food court is an example of the present trends of the Italian economy. I have already discussed the Italian collapse in previous posts (one and two). 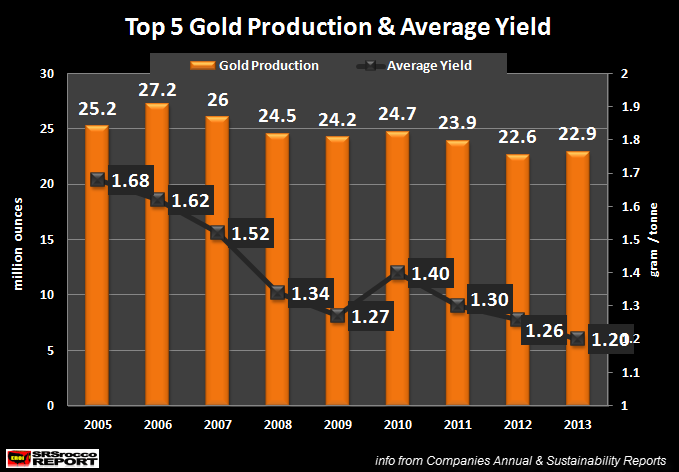 The collapse keeps going and the latest results from the Italian Statistical Institute (ISTAT) indicate that Italy has lost 25% of its industrial production after 2008, with no signs of improvement in view. Politicians are screaming about "restarting growth" but there is little that anyone can do facing such a disaster. The best they seem to be able to conceive is to trick the statistics in order to create the appearance of a non-existing recovery. 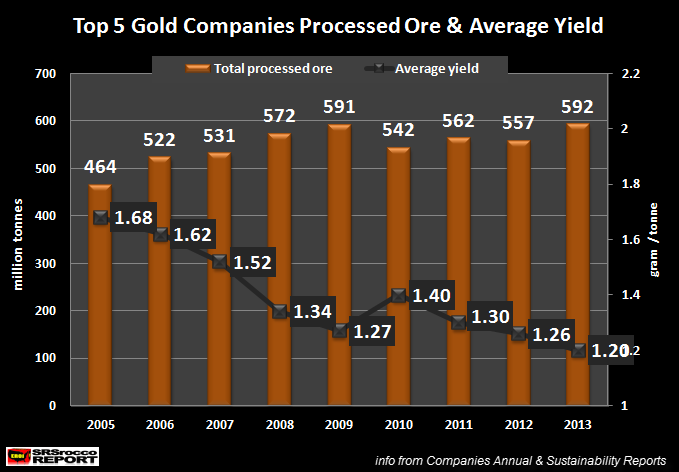 The collapse is mainly the result of the increasing burden on the Italian economy of more and more expensive imported mineral commodities. This extra burden has destroyed the competitivity of the Italian manufacturing industry. 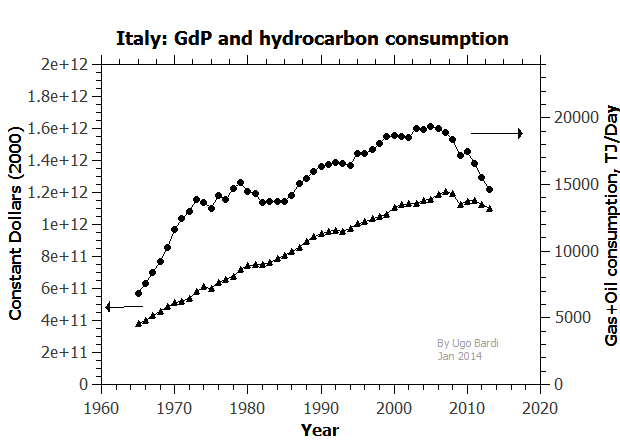 As a consequence, the Italian economic system is actively re-adapting, trying to find new resources. It must find "light" market niches, areas which don't need large amounts of energy and minerals to be run. It is finding them mainly in the fashion and the food industries. 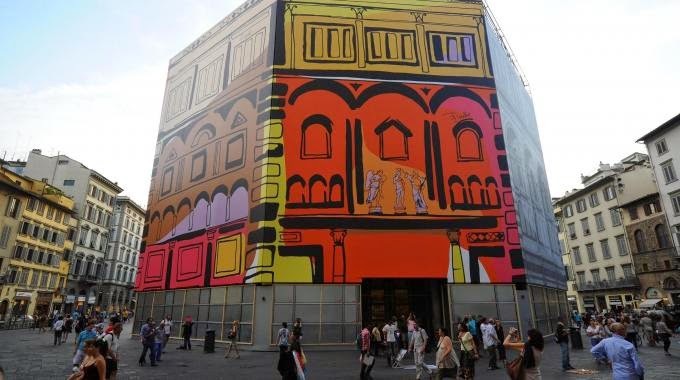 If you live in Italy, and especially in Florence, you can't avoid noticing how the fashion industry is prospering; you can see that also from highly debatable initiatives such as "dressing" the Baptistery church in Florence as if it were a gigantic foulard. Gone are the traditional manufacturing power centers, and with them there went much of the traditional financial power in Italy. The Monte dei Paschi Italian bank survived the Black Death during the Middle Ages, but it may not survive peak oil! Even the celebrated new prime minister of Italy, Mr. Matteo Renzi, is a consequence of the new balancing of the economic power in Italy. 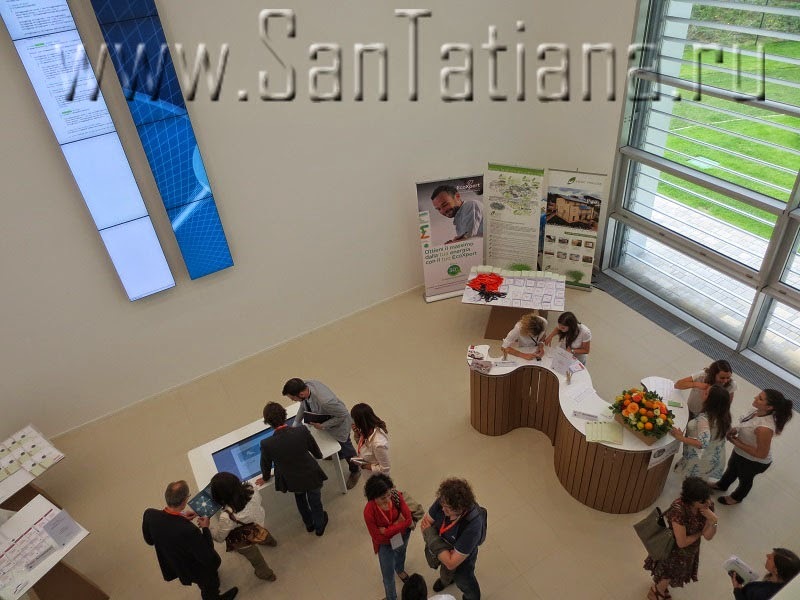 Tourism is also quickly gaining a new status of fundamental resource in the Italian economy. Tourism has always been a traditional Italian industry, but now it is becoming something new: with impoverished Italians traveling less and less, International tourism is becoming dominant. But it is not any more the time when international visitors would stay in Italy for months or years, to explore the ancient culture and landscape. Now, tourists stay a few days at most and have little time and interest to explore things other than the standard sightseeing tours in the art cities: Venice, Florence and Rome. The result is the concentration of tourism in areas where it can be efficiently exploited by initiatives such as the food court in Florence I was reporting about. Outside these centers, tourism is in trouble, too. So far, the expanding economies of some countries, primarily China, are providing an increasing flux of tourists to the main touristic centers of Italy. However, it takes little to expose the fragility of this small economic boom in Italy. Think of the possibility of a new financial crisis, such as the one of 2008, and you can imagine what's going to happen. Will the upper floor of the San Lorenzo market return what it used to be? Maybe, and my impression is that we really lost something by dismantling the old vegetable market. Recently, a friend of mine showed me an app for his new smartphone. It is called "catspeak" (or something like that) and allows you to choose a message to send to your cat which, then, the phone will translate and vocalize in cat language. Unbelievably, it works! At least, my cats seemed to be very impressed by being addressed by the phone with the meowing meaning "go away" or "I'm angry at you." This idea of speaking to your cat using a smartphone app seems to be the most egregious example I can find of the concept of "too much technology". Think of the cost of modern smartphones in terms of precious and non renewable resources. Then, you can't avoid to wonder how is it possible that they are used for such silly purposes. 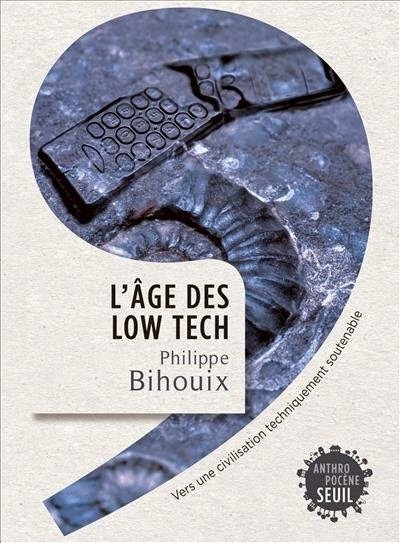 The concept of "too much technology" is the subject of the recent book by Philippe Bihouix (one of the co-authors of "Extracted") titled "The Age of Low Technologies" (In French, "L'Age des Low Tech"). Bihouix is a first class technologist, at ease in several different fields from electronics to biotechnologies. And his criticism of the naive enthusiasm of the public for the new gizmos presented in the media is simply devastating. He takes no prisoners in his demolition of some of the pet ideas of some fashionable technological gurus. Just read the section on nanotechnologies and, well, you'll see what I mean. The nanotechnologist has no clothes, really. A consequence of diminishing returns is the phenomenon we call "peaking" as the result of overshoot when people misjudge the long term returns of their activities. It occurs with oil extraction and it also occurs with new technologies: they tend to "peak." They reach extreme performance and then slow down, adapting to a compromise between performance and cost. The best example of this phenomenon is, I think, with today's planes. They have noticeably slowed down from the time of the supersonic Concorde, to emphasize efficiency and comfort. The Concorde was simply too expensive to be a practical technology: it was a plane in overshoot. It is likely that something like that will happen to today's smartphones - right now, they are wonderful devices, but they are in a condition of resource overshoot. 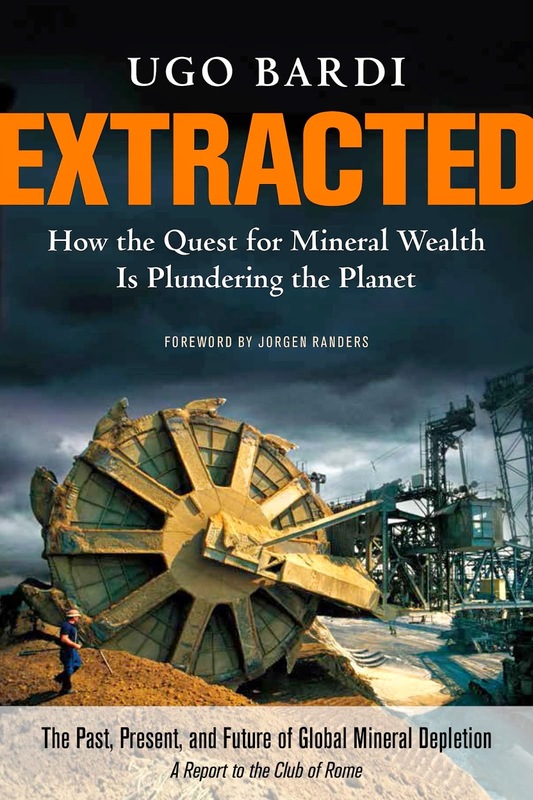 In the future, we will not be able to maintain their extreme performance facing the increasing costs of rare mineral resources. That doesn't mean that smartphones will disappear (although that's not impossible) but it means that some kind of compromise between performance and cost will have to be reached. Bihouix's book is very much based on this concept: that is how it will be possible to balance performance and cost after "peak technology". It is a fascinating description of a world which moves a little slower than ours and which, of course, can't pretend to keep growing forever. But it is also a world rich of possibilities; not less interesting than ours and also better under many respects. A truly remarkable book - by all means recommended! There is only this small problem with the language, but, come on, don't you eat sometimes a baguette and drink café au lait? Then, "L'age des low tech" is worth of a little effort of deciphering! The hell with catastrophism! The solar age is coming.